Stacey Harmon has a new affiliation with REALTOR® University, the webinar training center for the National Association of Realtors (N.A.R.). N.A.R. runs weekly webinars for real estate and Stacey has joined on to provide social media and Facebook training. Her first webinar is Tuesday, December 14th at 8:00 am PDT. 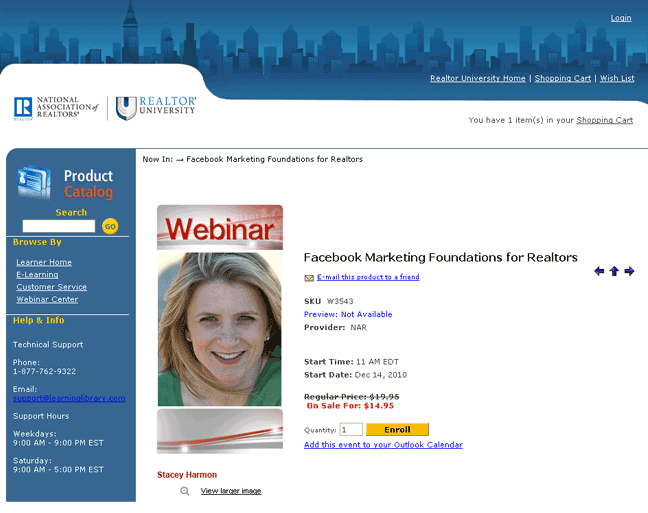 The topic is Facebook Marketing Foundations for REALTORS®. Further details and and a link to register can be found at the REALTOR.org site or directly at REALTOR University.